Show your Cincinnati love in this tee. 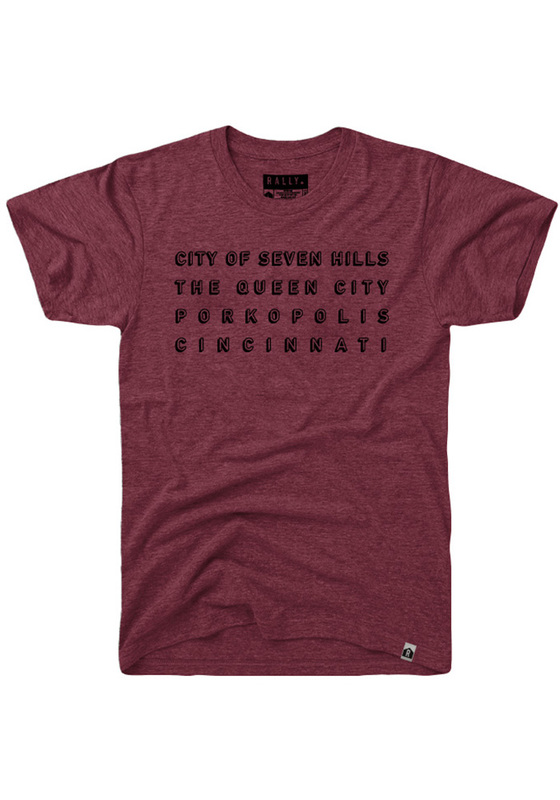 Featuring a screen printed 'City of Seven Hills, The Queen City, Porkopolis, Cincinnati' wordmark on center chest. 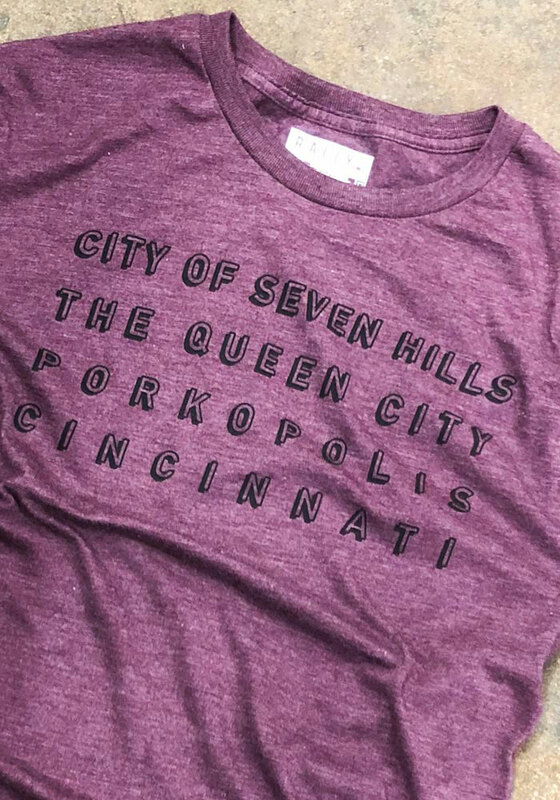 This tee features four of the nicknames for Cincinnati. Let people know how much you love your city in this tee.